Hartley Glass Domestic - Energy Efficient Glass. Traditional windows are an energy weak spot in house design. The energy you create to heat your home in winter and cool your home in summer disperses out through your windows. Energy Efficient Glass acts as a plug - sealing your home. Think of your home right now as a sieve....leaking energy. This sieve needs to be sealed. Over 1/3 of your total house surface area is your roof through which 45% of your heat escapes through. Therefore you proactively get roof insulation installed to prevent this heat loss. Windows represent a mere 8% of the total surface area of your home, but the low resistance that glass has to heat flow means a massive 50% energy loss is allowed through your windows. Energy Efficient Glass stops this heat flow, keeping the energy you create in winter inside the home, and prevents the heat outside in summer from coming into your home. Energy Efficient Glass allows you to control your environment simply through the right window glass selection. Hartley Glass is proud to stock and glaze Viridian Smartglass, an industry leading, energy efficient glass that is industry leading and recently won the HIA Greensmart Award. This Australian made innovation means you can effectively control the energy performance of your home using a superior Australian made, Australian installed & Australian guaranteed product. People turn to double glazing for their windows to stop the flow of heat and/or to reduce external noise. Double glazing is expensive, and in most cases cannot be fitted to existing windows due to its weight and thickness. Alternatively, people turn to a "retro fitted" option that is visually unappealing (limits the window's functionality) and can still cause "leaking" of energy. With the advancement in glass technology, this old-style, limiting way of insulating and sound proofing your windows is no longer the best option. Comfort Hush, an energy efficient glass that also reduces outside noise, looks and feels like ordinary glass but has the insulating and noise reducing qualities of double glazing. The benefits of Energy Efficient Glass are clear. Double glazed performance with the look of standard windows. No thickness, no retro fitting, and energy efficient glass is more economical to have installed in to your home. Your home can be glazed within 14 days of your order. - Click Here For More Details Double glazed units and retro fitted systems take much longer to be installed, sometime months, before you begin to enjoy the lifestyle & financial benefits of an energy efficient home. 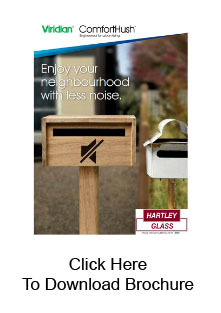 Book a time now for a Hartley Glass professional to visit your home and show you how Comfort Hush is the solution you have been seeking to solve your noise and heat flow problems...forever....and in a more cost effective way than double glazing or retro fitting. A 10 degree temperature differential between inside and outside means 65w of energy is lost for each square metre of window. An average house has approximately 50sqm of glass which means 3250w per hour of energy is escaping through your windows! If we were to calculate the dollar value of that energy using AGL's cost per KW of energy, that equates to up to $9000 a year of wasted energy flowing through your windows! Australians also pay the highest power prices in the world, and South Australians pay the highest power prices in Australia!! Energy Efficient Glass saves you real dollars on the running costs of artificially heating and cooling your home. By keeping the warm in when it’s cold outside.......and keeping the cool in when it’s hot outside......you can have complete control over your environment naturally. Average annual power bills in Australia are $3331 and are set to rise again! Energy Efficient Glass can save up to 25% on power bills which equates to over $800 a year...year after year after year......energy efficient glass is an investment that keeps on paying dividends. In addition to saving money, installing energy efficient glass will add value to your home by increasing its market value and its desirability when you choose to sell. 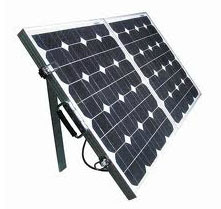 Have you installed solar panels? Energy Efficient Glass will enhance the return on your investment in solar panels by reducing your energy consumption, thereby ensuring you return the maximum energy possible back into the grid. The combination of Solar Panels and Energy Efficient Glass is the perfect marriage to reduce your carbon footprint, enhance your lifestyle and contribute to protecting the environment & saving money! So get your solar panels generating the most money possible and book a FREE in home demonstration to discuss re-glazing your home in Energy Efficient Glass now. Re-Glazing your windows with Energy-Efficient Glass will raise your home's energy rating by a full star. 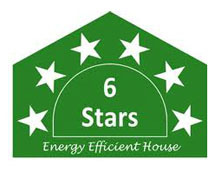 A 6 star energy rating will soon be mandatory on new homes and renovations. Energy Efficient Glass allows your home to achieve one full star without sacrificing energy performance. Unlike window tinting, that acts like putting sunglasses on your home, Energy Efficient Glass does not compromise on natural light. Energy Efficient Glass looks and feels like standard glass, ensuring your windows and doors have the same appearance they do now, but providing all the benefits that energy efficient glass has to offer. The transparent nature of energy efficient glass ensures you do not compromise on natural light or the view! Natural lighting also does not cost anything! Energy Efficient Glass has better insulating qualities than wall insulation and provides up to 39% better insulation than ordinary glass. It’s these properties that will allow you to naturally control your environment & reduce the use of artificial heating or cooling. This also means you can maximise the use of glass in your home. Making full use of the flow of natural light that energy efficient glass offers, & its insulating properties you can enhance your views and achieve a feeling of more space. You can’t see the great outdoors through a wall!! 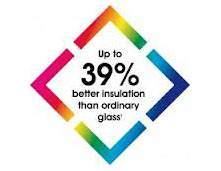 Speak to Hartley Glass to see how energy efficient glass can be used to enhance your home. Book an in-home demonstration today and get a FREE measure & quote. As energy efficient glass has superior insulating properties and allows the free flow of natural light, energy efficient glass has many health benefits to you and your family. Artificial heating operates by saturating the air with ions, which cause a feeling of fatigue, headache and irritation. Artificial cooling operates by removing moisture from the room, resulting in dry skin and brittle hair. Additionally, the operation of an air conditioner pollutes the atmosphere, increasing your carbon footprint. 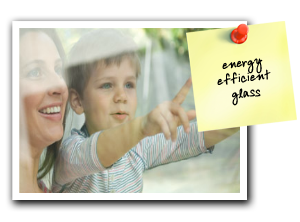 Energy Efficient Glass reduces the need for artificial heating and cooling, allowing you to naturally control your environment and provide a healthier home for you and your family. Viridian, the manufacturer of the energy efficient glass utilised by Hartley Glass, has developed the smartglass range including ComfortPLUS and ComfortHUSH. This industry leading product, and winner of the HIA Greensmart award, means you are getting the best product on the market - made by an Australian company. Hartley Glass has been manufacturing and installing glass for 57 years which ensures that you will receive the best quality workmanship and final product as experienced by our thousands of extremely satisfied customers. The expertise and experience of our Glaziers guarantees you will receive not just a tradesman result but the perfect result. All glass panels are precisely measured by our qualified glaziers and then cut to size using state of the art, precision machinery. Once a final quality inspection has occurred, our highly skilled industry leading glaziers will arrive at your home to re-glaze your windows with the energy efficient glass. All our glaziers have a police clearance and are OH&S compliant, so you can be assured that the people you are letting into your home deserve the trust you are placing in them. 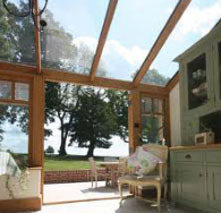 Your home can be re-glazed with Energy Efficient Glass in as soon as 14 business days from the placement of your order! We will send one of our qualified, police checked glaziers to measure and define your requirements with you, then we can present you with your quote. Once you accept the quote and place your order, you can expect to have your new glass glazed within 14 days!! 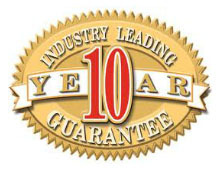 We provide you with a FULL 10 year peace of mind GUARANTEE! 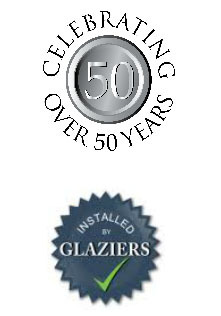 Our 10 year guarantee is fully inclusive of the glass manufacture & the installation of your glass by our glaziers. We also issue a Certificate of Compliance confirming that our work complies with Australian Standards AS1288/2006. Our guarantee & compliance certificate provide further peace of mind to our valued customers. 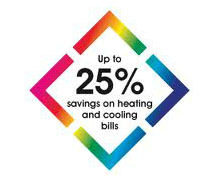 This means you can get your energy efficient glass fully installed from as little as 20% upfront and easy fortnightly payments. Approval in as little as 5 minutes. Talk to our team today about Certegy’s NO INTEREST EVER payment plan. We will take care of the application for you so you can get your energy efficient glass installed as quickly & conveniently as possible!